INDIGENOUS artists from the North Coast have the chance to showcase their work to audiences Australia-wide by entering the 29th Telstra National Aboriginal & Torres Strait Islander Art Award. 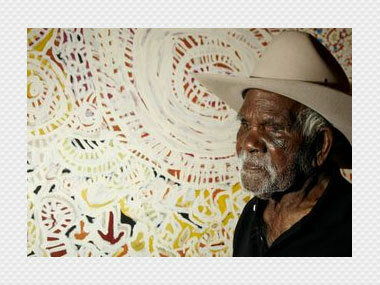 Principal sponsors Telstra and the Northern Territory Government's Museum and Art Gallery of the Northern Territory are urging all Aboriginal and Torres Strait Islander artists to submit their works for the chance to win the major $40,000 cash prize and increase their national profile. Telstra Country Wide Local Area General Manager, North Coast Region, Sue Passmore, said the award was a fantastic opportunity for local artists. "Each year we see a remarkable display of artworks from detailed barks to intricate canvases," Ms Passmore said. "The recent permanent inclusion of the New Media Award has added an avenue for artists using innovative technology to share their work with the nation." This year the Telstra Art Award celebrates its 29th year, making it Australia's longest running art award dedicated to the work of Aboriginal and Torres Strait Islander artists. Last year's award attracted more than 320 entries from Indigenous artists across Australia, with 61 artists selected as finalists to be part of the exciting exhibition. For an entry form phone the Museum and Art Gallery of the Northern Territory on 08 8999 8203, email natsiaa@nt.gov.au, or visit nt.gov.au/natsiaa. Entries close on 16 March 2012.